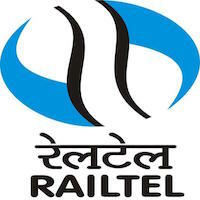 Online Application Details for RailTel Corporation of India Limited RAILTEL Recruitment of 5 District Manager and 16 Engineer is given below. Application form and duly attested documents are to be sent to Regional General Manager, RailTel Corporation of India Limited, 6 th Floor, Tower-III, Delhi Technology Park, Shastri Park, Delhi -110053. In envelope super scribed with 'Application for the Post of Post Name'.